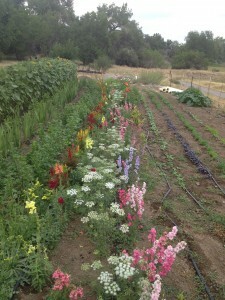 At Golden Acre Farm we grow over 40 different varieties of flowers, ranging from Aster to Zinnia. If you like our flowers and would like to purchase them for special events please contact Jason Plotkin through e-mail or phone for availability and pricing. We grow our flowers the same way we grow our produce, with the same sustainable practices and without the use of synthetic chemicals. 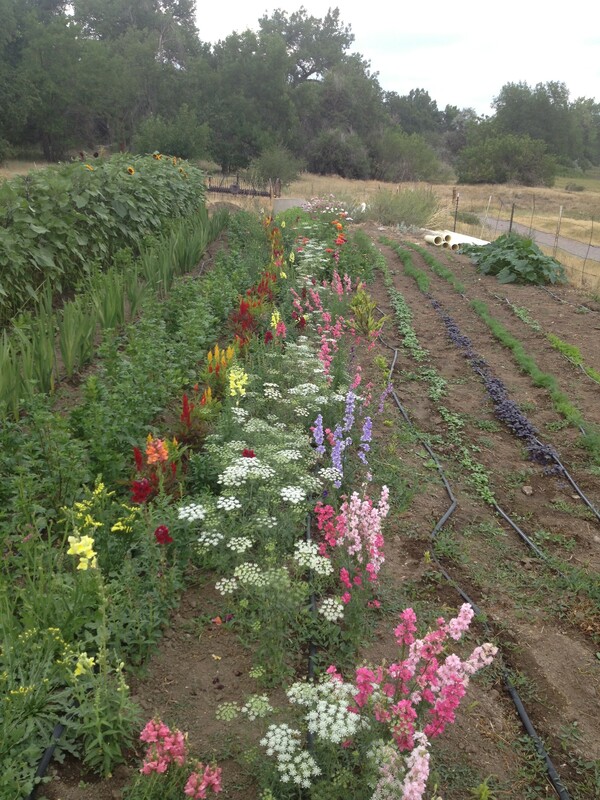 We are one of very few outdoor organic flowers growers in the state of Colorado. Please inquire for more details. If you would like to purchase some of Golden Acre Farm’s organic field grown flowers visit us at the farmer’s market in August and September or ask David at More Flowers (www.moreflowers.com) about how to purchase arrangements consisting of our flowers. Some wholesale opportunities are available to restaurants, food preparation companies, food trucks, and private chefs. Please feel free to e-mail us with any questions or for a list of available produce by season.